I have been on the fast diet since last August just after the program aired. 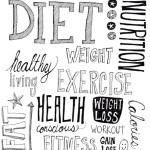 Over the years I have tried countless diets and exercise classes but nothing seemed to work. Maybe lose 4-5lbs then stall. The simple matter being I like food too much and hate being told not to eat cheese or bacon etc. Don’t get me wrong I wasn’t vastly overweight but could always have done to lose half a stone. This “fasting lifestyle” has been a revelation to my husband and I. I have now lost 2 stone (weight had crept up a bit in middle age!) my husband has lost well over a stone and is now trying to just maintain his weight. Food shopping bills have reduced, another good thing. Over the past ten years or so I would have described myself as being miserable. Have been on anti-depressants for the last 6 and could not see a time when I would come off them. Over the last month as the scales announced a weight that I have not seen in the last 8 years or so I have become a different woman. Happier, more confident and not constantly taking tablets. Couldn’t quite understand it til I read Michael and Mimi’s book. Fasting and mood changes didn’t come across on the prog but the book now explains my elation. Wish I’d known about this way of life ten years ago. I lost about 7kg and was amazed that I didn’t put anything back on over Xmas despite the cake, chocs and mince pies! I suspect you loose whatever you’re going to in the first few months. I’ve certainly levelled off at 61kg and wouldn’t want to loose much more. I fast Mondays and Fridays and will go from the evening before until the morning after, so actually longer than 24hrs. I haven’t tried recipes etc… Just try to find anything simple that offers the most filing mass for the least calories – plain chicken, rolled oats, protein shakes etc. the “lazy 5:2 diet” !!! If someone could invent something safe that swells up in your stomach and lasts several hours it would sooooo much easier! I’m now experimenting on how I mix fasting with exercise. I do an hour of hard cardio on mon, wed and fri and try to squeeze a 5-10km run in weekends. I know that fasting the day before going to gym makes the early morning session a little harder. Fasting on gym days makes hunger worse, but does stop me from rewarding myself! From a scientific/performance view Im not sure whether it would be better to fast on exercise or rest days. Hi everyone. I’m new to this forum and to the 5:2 diet. I came on here to look for some inspiration and luckily on reading through I have already found it! I have been doing the fasting diet for 4 weeks now. I have 2-3 stone to lose (BMI of 30). I lost 3lbs on the first week, 1lb the second week and nothing for the last two weeks. I felt disapointed not losing every week as I was sticking to my fast days although I did have a couple of OTT indulgences on my normal days (curry and beer) so I guess that maintaining my weight after eating like that is actually not too bad. I have renewed enthusiasm now and instead of fitting my 500cals into two meals as I have been doing I think I’m going to just have water, green tea and black coffee during the day and one healthy 500cal meal in the evening. Good luck everyone. I have just started the diet and completed 2 500 calorie days during the week. I found the second one excruciating, and couldn’t sleep as I was starving When I woke and took the dog out for a walk, I ached all over and had a cracking headache. Has anyone else felt this bad? I drank masses of water during the day, but I am used to eating lots of small meals, so perhaps it was the shock of not eating and feeling hungry! I ate 250 calories at 11am, then 250 at 7 pm. I’m doing it for the health benefits, if I lost a stone I’d be delighted. Shall I eat more protein in my 500 calories, or do people find that they leave it as late as possible to eat in the evening? Liza – tricky to talk about individual cases (and we mustn’t – well beyond our remit to give any specific medical advice). 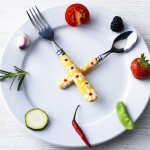 But generally, we’ve found that fasting gets easier over time – anecdotally, this is certainly the case for many – whether the issue is with sleep patterns, hunger or just feeling out of sorts. Of course, if you are feeling truly awful on it, you should stop. The key here is happy balance. Good luck and let us know how you get on. Mossy says his fast days are ‘now becoming routine’. I think this is key. Fasting for me really started to work when I stopped thinking too hard about it, and just let it become part of the natural rhythm of my week. Fasting can be weird at first (I found), but it soon becomes just ‘something you do’. Plenty of people say they look forward to their fasts once the routine has become established – and I know what they mean about that too. It’s a chance to have a calm, clean sort of day in a crazy, food-mad world! Hi another quick question I read that a calorie is a calorie so basically it doesnt matter what u eat as long as u keep withing your calorie limits u will be fine is this true? Also how can u keep the weight off all the time? Lisa – I think I shall be like you and not loose significant weight at 4 weeks. Have just completed 2 wks, and have noticed one good thing – I can do up the jeans I had “grown out” of. Perhaps you are similar and will find inches gone? Don’t give up, its so tempting on a fast day, but think what you have achieved so far. Also its now just about weight loss, there would appear to be other great benefits too! I started on the fast diet 5 weeks ago with my husband. He has lost 6lbs over that period of time and waist has reduced by an inch. In contrast I haven’t lost an ounce and waist size remains the same!! Any idea why this is happening? Admittedly I only have about half a stone to lose but thought some of this would have shifted by now. Hi all, I’m new to this forum (or indeed any forum), have been on the fast diet since 7th Jan and have had a steady 2 pound per week average weight loss. 2 weeks ago i strained my back and havn’t done any exercise whatsoever, or really even moved at all, but still managed a pound weight loss per week. i think the secret is simple, willpower, willpower, willpower. On the fast days i am strict to my 600 calorie amount, spread over a 300 cal breakfast at 8am-ish and a 300 cal dinner at 6pm-ish (male) and on the eating days i very loosely calorie count and try not to go above 2500 cal, but i dont stress if i do. like others say, i treat this as a way of life and i look forward to the fast days and i enjoy the feeling of a tightening stomach. sammie al: I’ve seen quite a bit of debate about this one (which could be summarised as ‘are some calories bigger than other calories?’) My 2p (sorry I am not a scientist): purely in energy terms all calories are equal by definition. But in practice it does seem that some calories (HG carbs) make you hungry again quickly, and if a larger proportion of your daily intake consists of those then you may find that it is harder not to gain weight, or to fast successfully. But even for those of us who still love carbs, 5:2 does offer real health benefits because it gives our body a twice-weekly break from the dripfeed of glucose (especially if you don’t eat until evening). Work by Dr Valter Longo (who you may have seen in the original Horizon programme) has shown that this can have amazing results against cancer cells, and it seems plausible (to me) that it would have preventative value too. 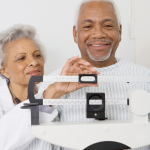 Re keeping the weight off: in the short term, your weight will move around each week anyway, it will tend to be lowest after your 2nd fasting day, and may track up a bit thereafter, but the long-term trend is what matters. In the long term, to keep the weight off just stay on 5:2 (it’s not a diet, it’s a lifestyle! ), or when you have lost enough weight modify it a bit e.g. 6:1 or have a larger meal in the evening of the fasting day. Good luck! A group of us would like to try this out, but one of us suffers with depression, normally well controlled with medication. Is there any reason why someone with depression shouldn’t try this diet as indicated in one of the papers over the weekend? I see that Helen Burns has done very well and she was on anti depressants. Hi tooplump – I think this is one for the GP as we really can’t/mustn’t give medical advice to individuals. That said, there’s evidence, as detailed in the book, that fasting can have a positive effect on mood. Your friend should see her/his doctor to get an informed, specific medical view. Good luck! Hello! Been on the 5:2 for almost 6 weeks and lost 1stone 3 pounds, think its great. Just got the book and had a read (a bit backwards I know) would like to know now that I have lost the weight I wanted to, if I go on the 6:1 does this actually still have the same benefits of the 5:2 health wise? Has anyone had the blood tests after being on 6:1 like Michael did after being on 5:2? Reaching 64yrs of age, 5.9″ and 15st 12lb and male I started fasting at the end of January. I have just completed my 10th fasting day.My weight on the morning following my 10th fast day is 15st 2lb a loss of 10lb in a month. I have also “banked” a loss of 19,000 calories based on an average daily calory requirement of 2500cals. I am not getting carried away because I know that weight fluctuates, my next target is 20 fast days.I do find it hard some days to ignore hunger pangs but I intend to find simple coping issues to deal with this. I am inherently lazy in calory counting at any time but on my fast days am pretty consistently boring. I weigh my oatmeal and have fruit with this, 200 cals. On an evening I have a “Fuller Longer” ready meal and pad it out with more veg if I need to. I find that normally I cope with this regime and the quality ready meal is a godsend coming in from work when my wife has something different to eat. Good luck to all you FASTERS out there. @whytco0 I wonder how you have progressed since your post. I have just started: one fast day down and one normal foods day passed. Fast day was fine aside from feeling a bit light-headed, and I noticed I ate quite a bit less yesterday, and so far today. I, too, would rather not have think about what I MAY eat on fast days; I would prefer to hydrate with low/no cal beverages only. I am in the midst of reading the book and love the science behind it. I could see myself living the rest of my days in this manner. To reply to Steven Warren 19 March. I have this problem of constipation which is caused by the medication I have to take for blood pressure(nothing to do with this diet)and which I have solved by taking two 500mg slow release Vitamin C tablets twice a day,morning and evening, that is 2 grams a day in total. Vitamin C has a laxative effect – Anyone trying this for other reasons might find a lower amount suitable. I have only just known about this diet, begun it this week, and started to look at the website for the first time. I noticed that my comment made this week is not posted? Anyway, what is a “stone”? Ok, here goes, I am a fast diet newby and am about to take on the challenge. My parents have religiously been following the plan for the last 6 months and the results are amazing. I have never been one for diets, zero staying power. I am 27 yrs old and the last couple of years have been ignoring the fact my weight has been creeping up. Mum suggested the book and have now read cover to cover and completely convinced this is the way forwards. On the books suggestion I went out and bought scales, turns out I had massively underestimated my weight, so the challenge is now on. I am 166cm and currently 80kg(10kg more than I guessed 🙁 ), so have a significant lump to shift. Not going to broadcast my plan with friends, just quietly persevere and see what happens. I have a target in my mind as to what I would like to lose, but also the massive health benefits are a massive draw. My family are prone to high cholesterol and my nan died at 60 of a heart attack, and an aunt at 60 has been diagnosed with Alzheimer’s, so very determined to change the course for me. Any suggestions for my first couple of weeks will be greatly appreciated! I have been on the Fast diet since February but haven’t lost any weight. I Fast on Monday’s and Thursday’s. I don’t really feel hungry on my Fast days, and as it is based on Feast and Famine I was wondering whether I didn’t eat enough on the non Fast days. Hello, cornaby – As you haven’t given any details of your current statistics – such as your BMI (Body Mass Index) or how much weight you feel you need to lose, it’s hard to be specific about potential barriers to weight-loss. So many factors can be involved, such as ‘hidden calories’ in drinks (like wine, for instance) which mean your daily intake might be much higher than you expect. Conversely, a slowed down metabolism can result from under-nourishment, due to prolonged, severe dieting. In some cases, underlying health issues can make weight-loss harder, such as an under-active thyroid. I suppose the only way you can check out what’s going on during your non-fasting days, is to monitor your intake over a week or two, by doing at least a rough calorie count, and see how it compares to the average recommended maintenance-level daily intake of 2000cals (women)/2500cals (men), allowing for adjustments for ways in which you might not be average (e.g. above/below average height, etc). Using 5:2 since February, you certainly seem to have given the system a good trial, so, I think it’s time to do some detective work, to track down the difficulty and, hopefully, then be able to remedy it. Perhaps, have a read around the site, to see if any other comments strike a chord and prove helpful? Well done, you, for all your sterling efforts to date and I wish you every positive outcome ahead. 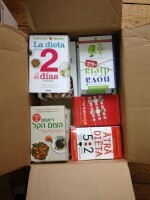 Thank you Jeanius – I will try to monitor my non-fasting days! I don’t drink wine very often! My BMI is 31.4. I am 68 years old. I do quite a lot of exercise, Nordic walking, pilates and yoga. I would like to lose a couple of stone. I will keep doing the diet as I do feel a bit leaner and it does make one more aware of how much one consumes during a day and it is good for all the other organs! I have been doing alternate days of fasting for about 2 weeks now and have lost 4 kilos. I am extremely impressed…have not found it too difficult at all, particularly when you see the weight loss results – I just think “Well I can eat tomorrow” In fact the fasting days make me feel so good, as if my whole system is cleaning itself out, I can almost feel the cholesterol flushing out. I would like to lose about another 15 kgs, but what happens when I achieve that goal? Is there a maintenance version – do you just reduce the number of fast days? I was hoping to see some advice on how to make it through the holiday season. I can just imagine the treats to come! Thanksgiving was a two day eating frenzy, but it felt good to give my body a break from food Saturday. Do fast days just need to be more flexible? Start fasting and just fast the next day if I fail? I have lost 15 pounds so far, and don’t wish to regress, but I really enjoyed the pies and potatoes on Thanksgiving. I find long walks and hikes helpful (and free) on fast days. I also “cheat” with fiber pills if the hunger is significant. I also think about the food to eat on the next feed day, but rarely want to indulge the next day. After failing at so many eating plans, I can see maintaining this one for the years to come to reap the health benefits. Now, if I can only make it through the holiday season! From what I have read here, I think that the main think to do is to continue with fast days throughout the season, even if the I between days are more generous than normal. I am thinking of the 22nd, 27th, 29th and 3rd as fast days- returning to “normal” on the 5th. If there are any veterans of the fastdiet Christmas out there, I would love to hear from them! We go to beach holiday in caravan hubby kids and few extras stay over a few nights. Loads of fun and food. We leave 21st December back on 3 rd January. So fast days Monday 22nd December saturday 27th December Monday 29th December friday 2nd december. My plan is to stick to 1800 except Christmas day and New Years eve. Hopefully that will work. Planning to stay of the bikkies and dip every day and wine every night well there will be some wine it is holidays. Hopefully that will keep me on task to come back The same weight. There will be extra incentive of bathers beach and a lot of boogie boarding and some interval running on the sand in the mornings.